Let’s face it, as much as you love your kids, the earlier they go to bed the better. You can’t blame them for avoiding a bog-standard bedroom in favour of staying up, watching TV amongst their loved ones. You’re just such great company. But create the ultimate dream escape in their bedrooms and you’ll have no trouble sending them to bed or to do their homework. It’s a simple addition but all it needs is a spark of imagination to make it meaningful. 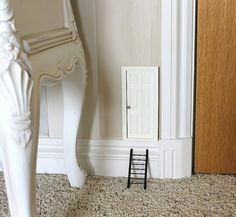 Be it a fairy door or Hobbit entrance, it will be a magical enhancement to a child’s bedroom. Even the artistically challenged amongst us could attempt to paint one on or else stick on a shop-bought one. Kids love nature so why not invite a bit of woodland inside to help them drift off to sleep dreaming of forest adventures. This could also work as a clothes rail and perhaps they may even start to hang their own clothes up? Kids love to hide away in enclosed spaces. Whether they’re up to no good or not it’s none of your business. Kids need personal space too! 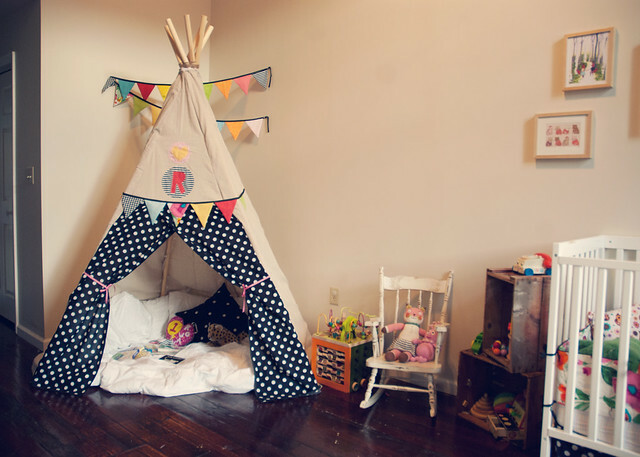 Teepees are surprisingly easy to make and chances are you have everything you need at home already. Kids are little bundles of energy just looking for some activity to exert themselves. A swing or hammock in their room is the perfect enticement. Do your research and make sure your supplies are strong enough to support the weight of your child, and possibly two of them at a time. Making it close to the ground also will ease any concern of them hurting themselves and it will soon be their favourite place to hang out. There’s a reason kids love Hide-and-Seek so much? There’s nothing more exciting to a child than a secret cubby. 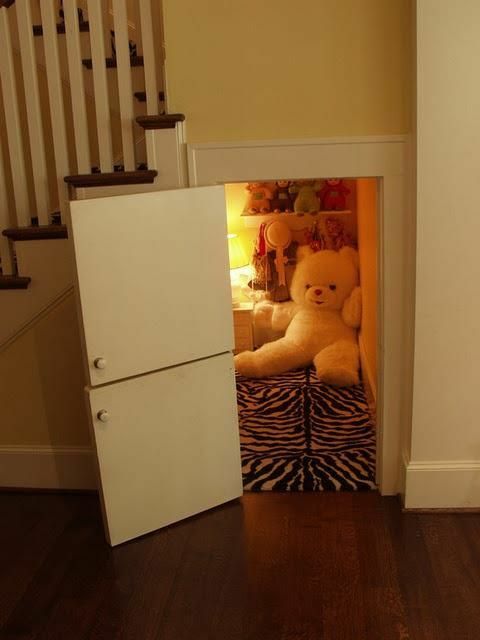 You might consider taking the trouble of making a secret space at the back of a wardrobe. It may involve putting a hole in the wall into the next room but then it depends on how good they’ve been. An easier option is to hand over the space under the stairs. This is something you could do today. 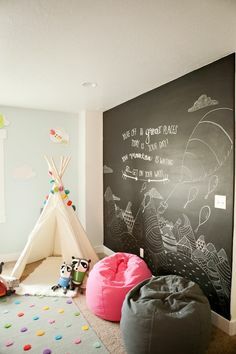 Chalk paint one wall or part of a wall and let your kids express their artistic nature each and every day. ‘Today we are going to make a spaceship’. This is something kids dream of hearing when they wake up on a weekend. And with your help it can be a reality and a fun project you can work on together. Don’t hold your expectations too high, your little ones should be happy enough with a cardboard box imitation and some markers for controls. It’s in the making that the magic happens. 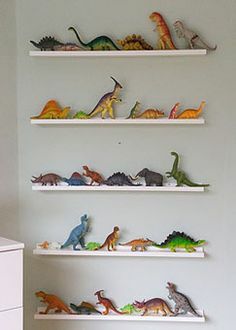 The most valuable part of a child’s room is their toy collection. The ‘hot’ favourite may vary from time to time but they’re all important. Asking your child to clean up their toys and throw them all into a box is like sweeping all your prized ornaments into a drawer to be forgotten. Why not proudly display them on a series of shelves and surfaces and hopefully they’ll soon be putting them back without even being asked.